Dear Sophie – and your family – I trust you will have a very blessed Christmas and a peaceful and productive 2015! You mention reading a good book – I’m currently listening to the Audible version of The Bix Six, sadly marred by the reader’s inability to mimic the Norfolk accent, so most of the lads just sound vaguely rural – frankly, disastrous! And why the Cachalot should become “Cashaloh” I don’t know! Who is reading your version of ‘The Big Six’? You can buy a restored version of the DVD, when I cast real Norfolk boys and Sam Kelly, of all amazing actors, captained the Catchalot. Audible have used a chap called Gareth Armstrong for the entire series. He’s not too bad at some accents, tho’ it came as a slight culture shock to hear Nancy & Peggy with Northern accents, and “Daddy” Walker seems a very brusque individual. But it’s the East Anglia stories that (so far) come off worst. My guess is that he was simply given the books to read, without the necessary background info re characterisation. But if there’s a version with the dialect properly done – super! Where can I find it? I gathered that impression about ‘Daddy’ Walker when I read Secret Water, that he was very abrupt and almost rude in his opinions. Everything was organised by him and him alone, and the children had no say in anything. Perhaps though. that was the way that upper middle class parents did behave to their children in that period? George – Kow-towing to Daddy’s mapping demands results, of course, in conflicts between S, A & Eels, with Nancy trying to jolly everyone along. All very odd! Mmm, interesting. It’s war-time and ‘Daddy’ is desperately juggling his naval job and his growing children, and has grasped at an idea for giving some sort of role to himself rather than just leaving them at large while he’s away. He’s also responding to the character of his eldest son – the first who’ll leave the nest; I remember my father teaching me (as the elder child and one very practically-minded), at suitable moments in my adolescence, how to wire a plug, change a tyre, etc. This is the legacy that he’s leaving John in particular; and this is why Nancy is out of her depth. Something that we could think about is all Cdr Walker’s preliminary solitary voyages of research, navigating and walking round Secret Water, amid all the demands on him of the Navy. Good for him! Didn’t know SW was set in war time. (This is a reply to George – there wasn’t a ‘Reply’ link to click on for his comment). SW was published in 1939, and the Admiralty are clearly in a tizz, sending lieutenants with telegrams, so one theory is that WWII is looming. Merry Christmas and a Happy New year to you and Simon and I pray the house gets sold quickly – I noticed the For Sale board last week! Ah, that’s not our house, that’s for sale! I hope you are able to have a break after Christmas. 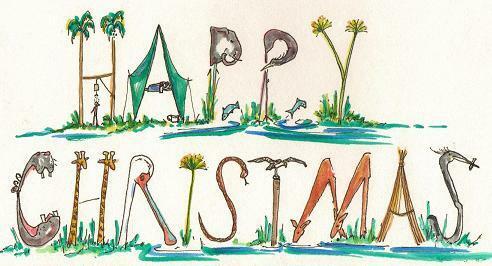 Hope you have a peaceful Christmas and a RIOTOUS New Year !!! 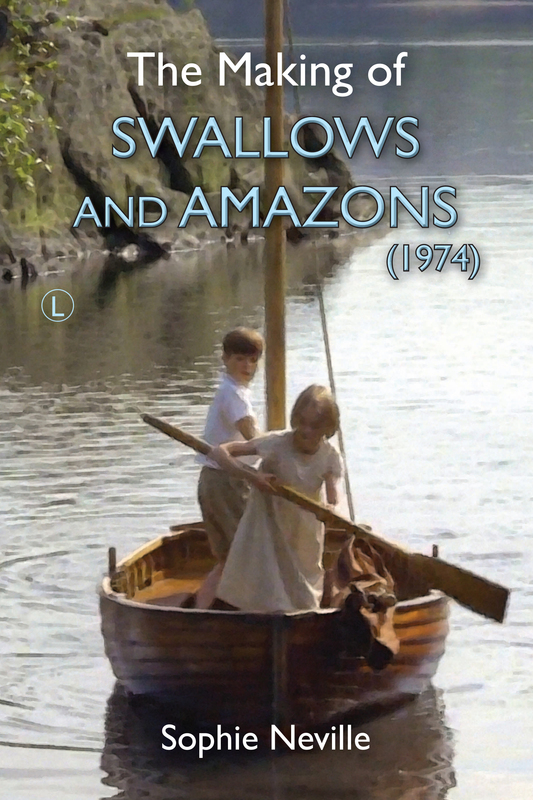 from Swallows and Amazons days. Happy Christmas, Sophie. Your blogs are always a joy and you’ve made many Swallows and Amazons fans happy with your memories, photos and book. All the best for 2015!